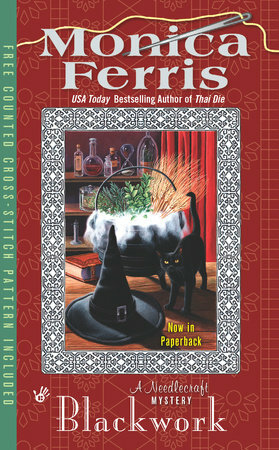 This Halloween, Betsy Devonshire, owner of the Crewel World needlework shop and part-time sleuth, is haunted by murder. After one too many pints, a local blames bar owner and Wicca practitioner Leona Cunningham for a series of "accidents" that have happened throughout town. When he ends up dead without a mark on his body, Leona's the main suspect. But Betsy being on the case spells trouble for the killer.